After spinning off from consumer goods giant Proctor & Gamble, Sunny D suddenly found themselves a small fish in a big pond. As a new small-to-medium-sized business (SMB), it was imperative that Sunny D not only implement new technologies, but rather use them in a way that could exploit their position as a smaller consumer goods manufacturer and help them to better compete with their much larger competitors. Sunny D realized that Excel spreadsheets were not the best way to communicate trade promotion and/or sales and reporting activities between the company and its brokers. Once they began their search, the company recognized there was a lot more to trade promotion management than improving and tracking overall trade spend, so they quickly shifted their overarching goal to improving customer profitability and chose AFS Trade Promotion Management Retail (TPM Retail). Since the implementation, Sunny D has seen a higher level of efficiencies across the board, and has enlisted the help of various departments to help strengthen profits. In fact, the trade promotion management application has already helped the company exceed initial goals for the implementation. Being able to see trade spend and revenue per customer enabled the groups to perform an accurate analysis of the situation. This resulted in a win for Sunny D and the customer. The AFS TPM Retail solution helped in other ways too. For example, the company sells to the military though government approved distributors; consequently, they wouldn’t normally be able to track the end customer’s profitability. By leveraging the functionality of the TPM solution, Sunny D is able to drill down and see how the distributors are loading their data, which – in turn – enables the company to gain valuable insights into how the end user is buying the company’s products. AFS TPM Retail aided in the due diligence process, for multiple product acquisitions, and partnerships. Sunny D’s sales force is also using the TPM application. In fact, the sales teams uses contribution to maximize the efficient use of their customer’s trade funding by analyzing top-line revenue down to cost of goods sold. About the Sunny Delight Beverages Co. Sunny Delight Beverages Co., based in Cincinnati, OH, is a leading producer of juice-based drinks in North America and Western Europe. The company is dedicated to helping Moms improve the vitality of their families by creating and marketing more wholesome beverages. Privately held, the company’s brands include SunnyD citrus punch, SunnyD 100% Juice and FruitSimple fruit smoothies. 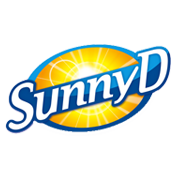 Please visit http://www.sunnyd.com/ for information about the company and its brands.